Over the last twenty years, there has been a shift in the way the Chelmsford (and the UK’s) property market works. In the 1960’s, 70’s, 80’s and 90’s, a large majority of twenty somethings saved up their 5% deposit, went without life’s luxuries of going out and holidays etc., for a couple of years and then bought their first home with their hard earned savings. 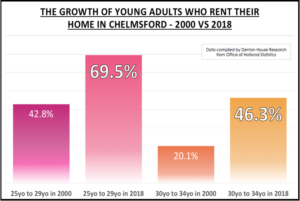 By 2000, 57.2% of Chelmsford 25 to 29 years owned their own home (compared to 46% Nationally (and 79.9% of Chelmsford 30 to 34 year olds in 2000 owned their own home – again compared to 64.2% nationally) whilst the remaining youngsters mostly rented from the Council and in some rare cases, privately rented. Now it’s 2018, and those levels of homeownership have slipped dramatically and now only 30.5% of Chelmsford 25 to 29 year olds own their own home and 53.7% of Chelmsford 30 to 34 year olds own their own home (interestingly mirroring the National picture of 24.5% for the younger age cohort and 64.2% for the older 30 to 34 year cohort). There was concern in Government since the late Noughties that this shift from homeownership to private renting wasn’t good for the well-being of the Country and things needed to change, to make it a more level playing field for first time buyers. House prices needed to be more realistic and there needed to be a carrot and stick for both landlords and first time buyers. In the 1980’s and 1990’s, interest rates were the weapon of choice of Government to cool or heat up the UK housing market – and it did work – up to a point. It’s just interest rates also affected so many other sectors of the UK economy (and not always a in good way). The policy of interest rates to control the economy is called ‘Monetary Policy’. Monetary policy is primarily concerned with the management of interest rates (and the supply of money) and is carried out by the Bank of England (under direction from the Government). 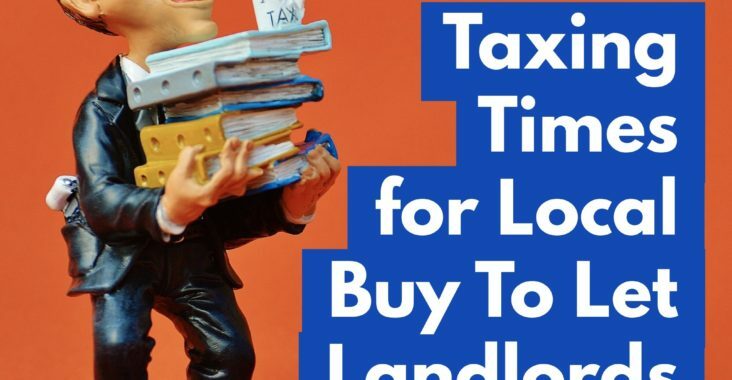 It’s just in this post Credit Crunch, Brexit environment, the use of higher interest rates wouldn’t directly affect landlords (as around two thirds of buy to let properties are bought without a mortgage). Therefore, an increase in interest rates would have hardly any effect on landlords and hit the first time buyers – the people the Government would be trying to help! Also, given muted growth of real income (i.e. real income being the growth salaries after inflation) in the past few years, an uplift in interest rates (from their ultra-low 0.5% current levels) would have a massive effect on Brit’s household disposable income. Yet, over 90% of new mortgages in 2018 being taken are fixed rate and with such low rates, it has made buying a property comparatively attractive. Instead, over the last 8 years, the Government has encouraged first time buyers and clipped the wings of landlords with another type of economic policy – Fiscal Policy (Fiscal Policy is the collective term for the taxing (and spending) actions of the Government). First time buyers have had the Help to Buy Scheme, Stamp Duty Exemption and contributions to their deposit by HMRC. On the other side the coin, landlords have had the way they are able to offset the tax relief of their mortgage payments against income change (for the worse), an increase in Stamp Duty (for the worse) and they will be hit with additional costs as the Government will be phasing out fees to tenants in the next 12 to 18 months. So, what does this all mean for the 3,478 Chelmsford landlords? The days of making money in Chelmsford buy to let with your eyes closed are long gone. 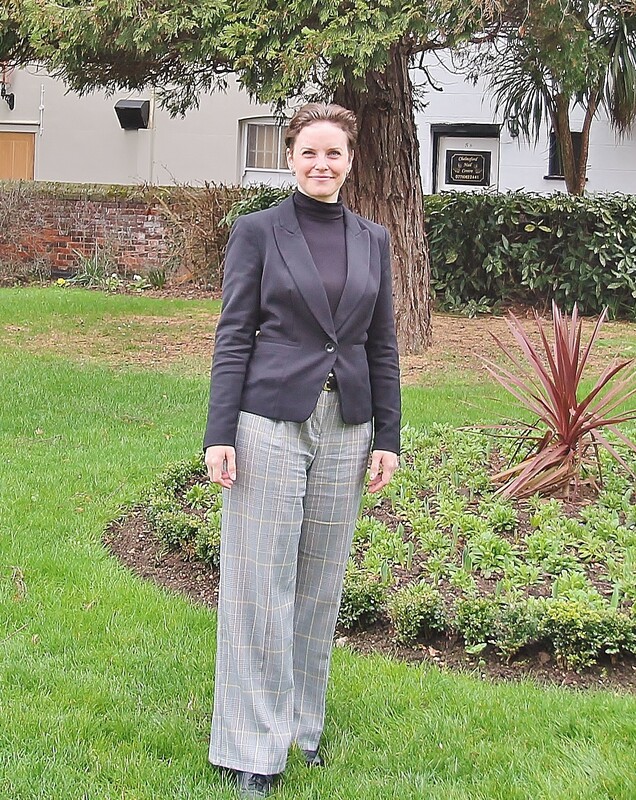 There are going to be testing times for Chelmsford landlords, yet there is still a defined opportunity for those Chelmsford landlords who are willing to do their homework and take guidance from specialists and experts. It’s all about looking at your Chelmsford portfolio (or getting a property professional to do so) and ascertaining if your current portfolio, mortgage and gearing are designed to hit what you want from the investment (because that is what it is – an investment) in terms of income now and income in the future, capital growth and when you plan to dispose of your assets. I have seen many Chelmsford landlords (both who use me and my competitors) to manage their rental property or find them tenants – and on many occasions recently, I have told them to SELL – yes sell some of their portfolio to either reduce mortgage debt or buy other types of property that match what they want in the short and long-term from their investments. I know that sounds strange – but my role isn’t just to collect the rent .. it’s also to give strategic advice and opinion on the landlord’s portfolio to help them meet their current and future investment goals. The opportunities will appear in the Chelmsford property market for Chelmsford landlords from gentler growth in property values linked with a restrained Chelmsford property market, meaning if you put in the time, there will be deals and great bargains to have. 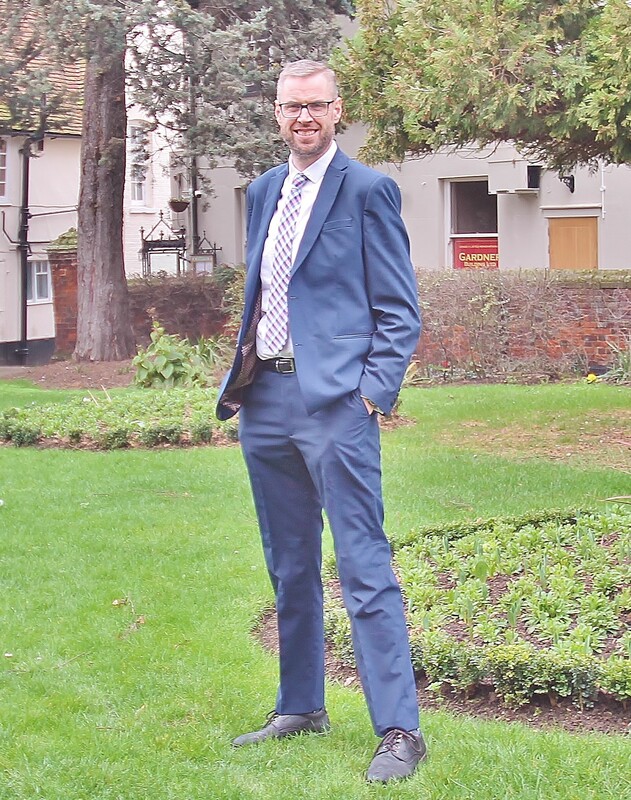 Many landlords in Chelmsford (both clients and non-clients) send me Rightmove links each week, asking my opinion on the suitability of the investment. Some are exceptional – whilst others are duds. The bottom line is, private renting will continue to outgrow first time buyers in the next 5 to 10 years and as we aren’t building enough homes in the UK, which means rents can only go in one direction – upwards! Very interesting. A good news to all who planned to buy a house.